It’s going to be a killer week! Last week I shared with you that I didn’t PIMP myself out enough, well things are changin’! I began to share what I was up to and new and SUPER exciting opportunities have begun to pop up all over! 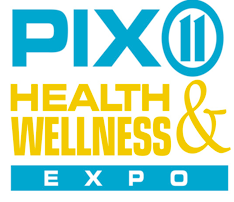 This Saturday I’ll be teaching at the PIX 11 Health and Wellness Expo! Class is 1:00 – 1:45PM. It’s $15 to REGISTER for this awesome experience (for the full expo, not just to train with me!) Children (under 11) are FREE, so bring you kids with you. Below Is my schedule for the week, join me! If you’re not in the city and you want to WERQ with me you can check HERE to find out how. All classes are 45 minutes unless starred. Starred classes (*) are 60 minutes. This entry was posted in FIERCE HEALTH, FIERCE SOUL, FIERCE WORKOUTS and tagged balance, committment, fitness, gratitude, health, love, motivation, self improvement, weightloss, workout by GETFIERCE TRAINING. Bookmark the permalink.